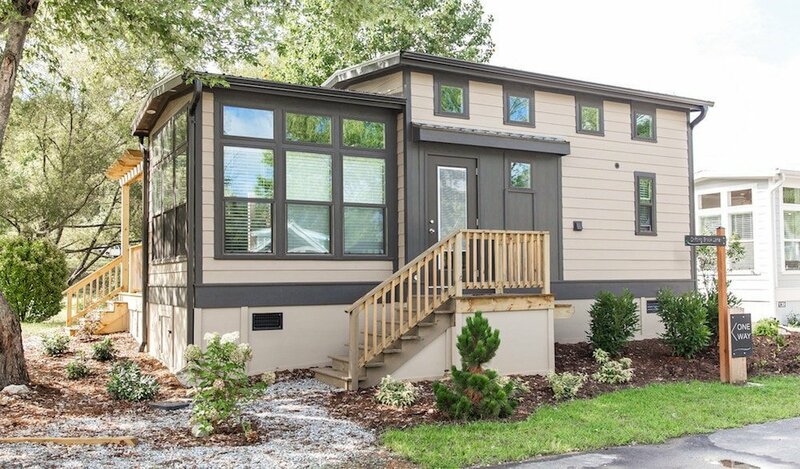 Simple Life is a leading developer of cottage communities and tiny home communities in the Southeastern United States. Simple Life embraces reducing possessions and the burden of keeping up in order to experience real freedom. We encourage residents to step outdoors where they can find genuine belonging through shared experience and regularly connecting with caring, welcoming neighbors and nature. Our homesites include exclusive access to the entire community, its luxury amenities, shared outdoor spaces, and common areas. Residents at Simple Life buy more than a cottage to call home; they also buy into a neighborhood philosophy that embraces connection, security, and friendship. It’s a welcome change for many. The benefits of tiny house living are numerous! Simple Life homeowners often mention environmental consciousness, fiscal responsibility and more time and freedom to enjoy life as their top reasons for buying a small home. We invite you to explore our cottages and tiny homes for sale; our team is standing by to welcome you. Experience simple downsized living surrounded by luxury amenities, minutes from services, nightlife, and world-class recreation. Live practically and in balance with the environment without sacrificing quality or good living.